The X-factor of Sony MDR-EX90LP is its excellent clarity, the minute details which it covers and the effective bass response. Along with all these, its black and silver design is something which is going to grab the eye-balls. The problem with Sony MDR-EX90LP is its silicone ear fittings which might not fit your ear properly. Apart from that the bad news is that it doesn’t have any cable extender which will support you at home listening. Price for this product starts at $149.95. Well, the most exciting thing about Sony MDR-EX90LP is the price tag attached with it. It only costs $100 and the good thing about this ear buds is it gives you an enriching musical experience. The Sony MDR-EX90LP ear buds are designed in a very special way, which has given them a good name and so they are considered as a good headphones. Well, now it’s hard to believe that Sony Doesn’t need any Brand Ambassador to popularize it’s products as the name “Sony” is enough to capture the market. And one of the major reasons behind Sony’s success is its well designed and quality headphones. Now, one of the most popular products of Sony is its latest and affordable ear buds is the MDR-EX90LP with its special case. The USP of this Ear bud is its comfortable fit, stylish design and top quality audio, making them the only best choice for any music lovers. Most attractive thing of MDR-EX90LP is it’s combo of black and silver accenting around the ear bud. You just don’t need to worry about the length of the cord as it’s around four feet long, giving you the option to carry the cable comfortably as long as you want. This length is just apt for on-the go use but can create problems if you wish to listen it on your PC or music system. 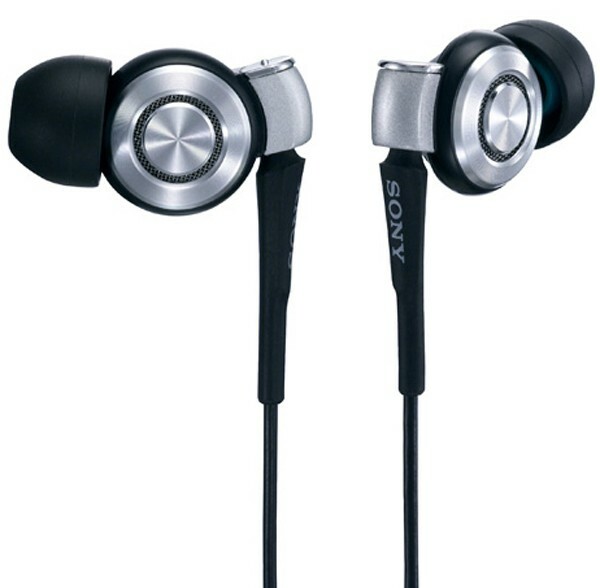 The Sony MDR-EX90LP is one of the best available products among all the other available earphones in the market. They are a must buy for every music lover. Great sound quality. The most interesting fact about Sony MDR-ED21LP is that Sony has provided a case with it which intends to protect these earphones. Also, it has the apt kind of powerful bass punch. The L- shaped ear plug is not appropriate as it doesn’t f it the ear properly. Though the price tag is eye-catching, but the build material of this good looking ear phone is not something to be appreciated. If you want to use the best headphones so far with the best features then Sony has something to offer you and it’s his new L- shaped head phone MDR-ED21LP. With its clear-quality sound, it’s the rubber cover case which promises to give a comfortable touch to your valuable ear. The Sony MDR-ED21LP comes with its special bass booster which promises to give a strong bass as well as wide frequency sound. This is a head phone which you should definitely opt for if you have an ipod or a phone. With this Sony MDR-ED21LP, it is a complete assurance of accuracy, ambience, and clarity of sound and dynamics of the audio produced by these headphones. Another good thing about these earphones is that they are specifically designed in a way to cover the complete ear, unlike the other head phones. On ear models are responsible to set on the top of the ears. Insert models of Sony MDR-ED21LP are there to be inserted into the ear canal. The Earbud model rests outside the ear canal but still have a portion that can be seen in the ear canal. The Sony MDR-ED21LP is the perfect or rather say the best option among all the headphones in the market. People are appreciating this product and also planning to purchase the second pair. Finally, this product I recommended to all who want to buy an in-ear headphone. They are just awesome with their powerful bass and clear sound. Super Head phones from Sony. Check out the model! The Sennheiser CX 400-ii ear – canal headphones is has a dynamic speaker system that allows the music aficionados to have a superb musical experiment. The ear adaptors coming in a variety of sizes for custom fit allows you to listen to music more comfortably. The headphones also have a warranty of two years. Even though, the sound quality is superb, yet there are some complains about mild complains from the bass. The new Sennheiser CX 400-ii is moderately priced so that it can be used by all. Comfortable and having a snug fit, the headphones are every listeners’ delight. Having a frequency response of 17 to 22,000 Hz, the headphones are a must have for all. Price for this product starts at $61. The Sennheiser CX 400-ii ear – canal headphones is a treat for the music aficionados who want to upgrade the sound quality of their portable music player. The headphones have a superior music resolution with high – end dynamic speakers that have neodymium magnets which is tuned for natural sound production. The headphones have ear adaptors that come in three different sizes – small, medium and large – to give you a custom fit. The ear – canal design of the headphones have an excellent ability to reduce the environmental noise so that you can listen to disturbance free music. The each pair of headphones comes with a cable winder, a cable clip and a comfortable carrying pouch. Having a gold plated jack plug of 3.5 mm (angled) with a symmetrical cable of length of 1.2 m, the Sennheiser CX 400-ii ear phones are easy to use. Having a volume control integrated in the cable, the Sennheiser CX 400-ii ear – canal headphones is a listeners’ delight. The Sennheiser CX 400-ii ear phones are designed in such a way so that it can be easily used with a wide range of portable music players like the MP3 players, CD players, Apple products like the iPod and the iPhone and even with portable gaming systems. The headphones have a warranty for two years which is very helpful. 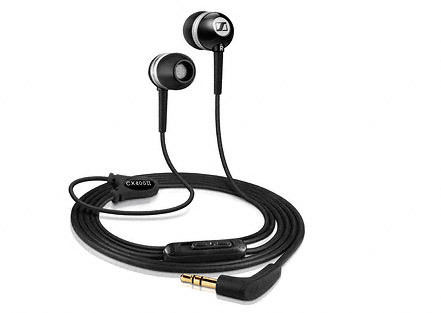 The Sennheiser CX 400-ii ear – canal headphones are also available in different varieties. There is the Sennheiser CX 400-ii Precision in white, the Sennheiser CX 400-ii Precision in titanium, the Sennheiser CX 400-ii Precision in black. Accessories: 3 sets of ear bud gels S/M/L, cable clip, cable winder and carry bag. The Sennheiser CX 300 ii ear – canal phones are comfortable and have a snug fit. The ear pieces are available in a number of sizes to give you a custom fit. Having a warranty of 2 years, he ear phones are definitely a must try. Although, the Sennheiser CX 300 – ii ear – canal phones have noise blocking ability, yet does not completely cut off the outside environmental noise. The Sennheiser CX 300 – ii headphones with its ear – canal design truly has an excellent bass. Comfortable for the ears having a snug fit, the headphones come in an eco – friendly packaging using recycled paper that is light in weight and small. Having a frequency response of 19 to 21,000 Hz, the headphones are compatible with all types of music players. Price range for a Sennheiser CX 300 ii product is $20 to $30. The Sennheiser CX 300 – ii headphones are powerful having bass driven stereophonic sound. The ear pieces having an ear – canal design have a snug fit and are comfortable for the ears. 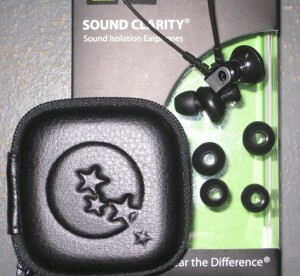 The headphones come with ear adapters available in three different sizes – small, medium and large. This enables you to have a custom fit. The microphones on the ear pieces have dynamic speakers that give you excellent sound clarity. The headphones come with soft pouch that is easy and convenient to carry. The 1.2 m long asymmetrical cable is comfortable to use. The headphones do have noise cancellation features, but it does not cut off the external environmental noise completely. Having a light weight of 11 g, the Sennheiser CX 300 – ii headphones can easily be carried about. Hence, for travelling purposes these ear – canal phones are extremely comfortable to use. The Sennheiser CX 300 – ii series is available in different varieties. These are the CX 300 – ii in silver, the CX 300 – ii in white, CX 300 – ii in pink, the CX 300 – ii red and the CX 300 – ii in black. 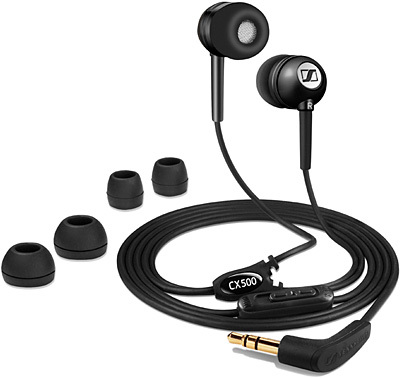 The CX 300 – ii black comes with a 2.5 mm jack plug. There is also the Ear Canal 300 – ii Travel that comes with an additional adapter that can be used in aircraft. The Sennheiser CX 300 – ii ear – canal headphones is so designed that it can be used with MP3 players, Apple products like iPod and iPhone, different CD players and portable gaming systems. These headphones are built using materials that ensure maximum durability. The padded steel headband gives added comfort. Sound quality is at a good level. The headphones can be folded for easy travel. If you're a fan of metal music, the lack of distortion provided by these headphones may annoy you. The ultimate travel headphones, the Sennheiser PX 100 provides the greatest possible sound quality and compactness, allowing you to take your music anywhere and experience it in high-quality. Sennheiser is a company known the world over for developing quality audio listening software such as headphones and earphones. The Sennheiser PX 100 is a unique model which can be referred to as a 'miniheadphone' thanks to its compact, collapsible design. The Sennheiser PX 100 is designed in a black-ish color scheme using metal alloys. The headband and ear pieces are heavily padded to give the user maximum comfort. One of the greatest things about this design is the ability to collapse the Sennheiser PX 100 in a manner that helps to carry the headphones around easily. The copper 4-foot wire that is provided for the Sennheiser PX 100 is reinforced using Kevlar, which adds to the overall durability of the headphones. 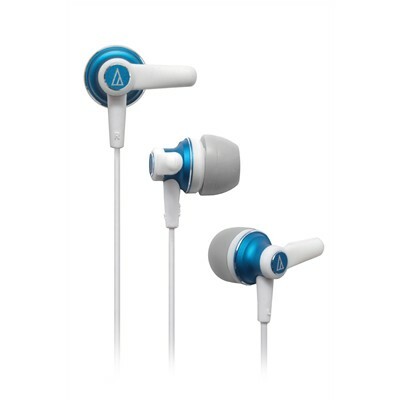 This in addition to the metal finish of the headphones ensures that you can use the Sennheiser PX 100 for a long time. Despite the focus on durability in the design of the Sennheiser PX 100, sound quality has in no way been compromised when developing these great headphones. Distortion is at a minimum when listening to music, which provides a sweet sound that could be appreciated by anyone. Metal music fans, however, might find this lack of distortion a bit disappointing. In conclusion, the Sennheiser PX 100 is definitely a headphone set that you should look at buying if you want a headphone set that provides maximum durability along with maximum sound quality. 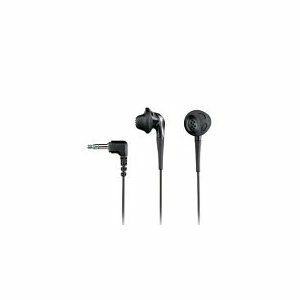 This earphone set provides good sound quality in treble, mid and bass ranges. Thanks to its in-ear nature, external is canceled out. The earphones come with a choice of gel tips for the earpieces. These earphones feature a volume control module as well. The audio cable of these earphones is not detachable. The treble ranges of the earphones are not up to the standard of similar earphones. 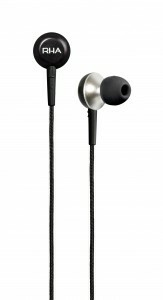 The Sennheiser CX 500 is an earphone set that provides good sound quality at a reasonable price. Thanks to its sound-isolating nature, it cancels out background noise effectively, leaving you free to enjoy your music without disturbance. The Sennheiser CX 500 provides the best possible solution as an earphone for those who can spend little but want the best. 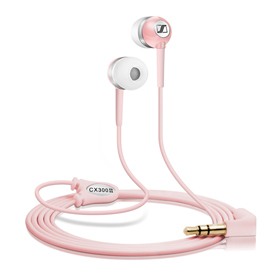 At its price, it provides the sound quality you would expect from earphones double its price. This is one of the greatest features of the Sennheiser CX 500. The Sennheiser CX 500 sports a sleek black design that immediately catches your eye. Once you've purchased it, the Sennheiser CX 500 comes along with a set of gel tips which you can use to customize your earphone's earpieces the way you want them, so that you can find the perfect fit for your ears. Noise-cancellation features are one of the main plus factors of the Sennheiser CX 500, thanks to the in-ear nature of the earpieces. Since the earpieces are rubberized gel tips, they fit into your ear canal tightly and hence cut out any annoying background noise that you may be experiencing. These earphones provide you with great sound quality, with awesome response to mid and bass ranges. The bass thump is a revelation on the Sennheiser CX 500, however it does not take away from the mid ranges of the earphones. The treble is a bit low on the Sennheiser CX 500, however it is not low enough to cause any major annoyance. All in all, the Sennheiser CX 500 is a great earphone set that will really allow you to enjoy your music.